How Do You Know You’re Being Scammed?? Many people enter the writing world and think it’s going to be days filled with books and coffee and nights filled with hours of pure genius pouring from their fingers. Then they imagine their genius manuscript falling into the hands of a great well known Agent that wheels and deals an amazing contract with the perfect publishing house and mails you a hefty paycheck for all your hard work. That could happen! Not quite so fairy tale-ish but it could go along those lines for a lucky few. In reality though, being an aspiring writer is a lot of hard work and getting your work published is even harder. However, I’m not hear to talk about the steps you need to take to get the job done. No, today I want to talk about getting scammed. If you are familiar with the internet and emails you know just how many scams there are to get your personal information and money. But did you know that there are just as many scams in the writing world? Some show their “faces” like the normal phishing scam email but there are other scams that even experienced authors fall for. Agents who ask large fees just to “read” your manuscript. Fake editors with promises of turning your unsalable manuscript into gold that agents and publisher will fall in love with. Vanity Presses that offer you the moon in regards to getting published just as long as you send them thousands of dollars. Anthologies that email you to let you know they want your work in their book but only if you pay them a “small” fee first. “Who’s Who” Directories that require you to contribute cash for your name to be listed on it. I could keep adding different ways to this lists for hours…days! My point is, there are many different ways to get scammed in life and that’s also the case in the writing world. Don’t set yourself up for failure. Take some time to read up on the scams that have been documented. Read ways to recognize and avoid them. Learn from the mistakes of others. Here are some websites that devote a lot of time and energy in shedding light on those looking to con us out of our money. Don’t let your ego or ignorance negate all the hard work you’ve done creating your manuscripts. Take the time to really check out these websites. Scams are everywhere, in every form and they can fool every single one of us if we don’t educate ourselves. This entry was posted in Writing Resources and tagged Absolute Write, Darla G. Denton, National Writers Union, Preditors & Editors, Scams for Writers, Winning Writers, Writer Beware, Writers Weekly. Bookmark the permalink. 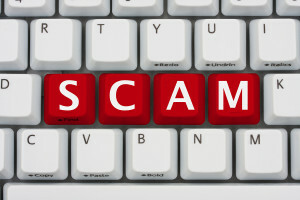 3 Responses to How Do You Know You’re Being Scammed?? Always remember…money flows toward the writer.